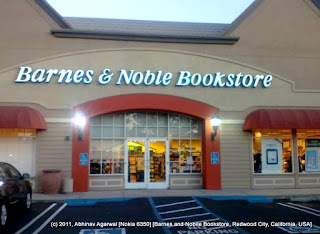 The Barnes and Noble bookstore in Redwood City, California (store link). 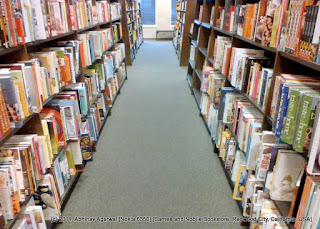 As opposed to earlier visits to different Barnes and Noble bookstores, the store this time felt a bit sparse, and a little less lively. 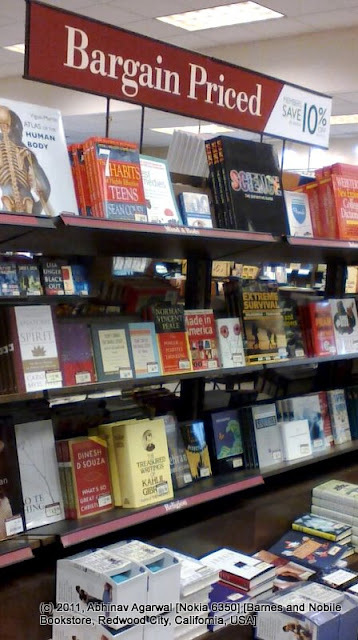 Maybe it is a sign of the times, what with traditional booksellers fighting an increasingly losing battle first against online vendors, and now against e-books themselves. 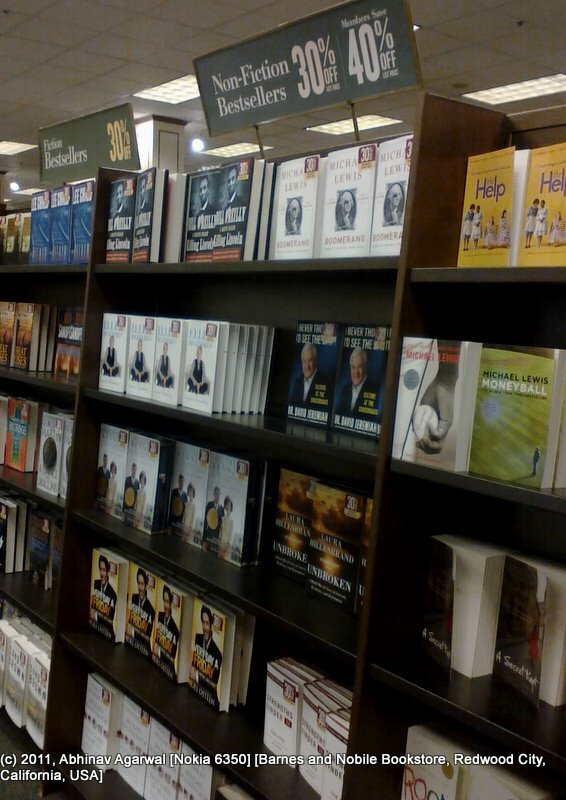 Their non-fiction bestsellers rack had a lot of familiar titles, including the latest by Michael Lewis, "Boomerang: Travels in the New Third World", "That Used to Be Us: How America Fell Behind in the World It Invented and How We Can Come Back" by Thomas Friedman, "Killing Lincoln: The Shocking Assassination that Changed America Forever" by Bill O'Reilly. The bargain priced shelves are always fun to browse. You can also sometimes find really good bargains that you like, like a Calvin and Hobbes collection, or a "Far Side" book, or jigsaw puzzles. The Barnes and Noble book store entrance faces the North-West in the building at the bottom.